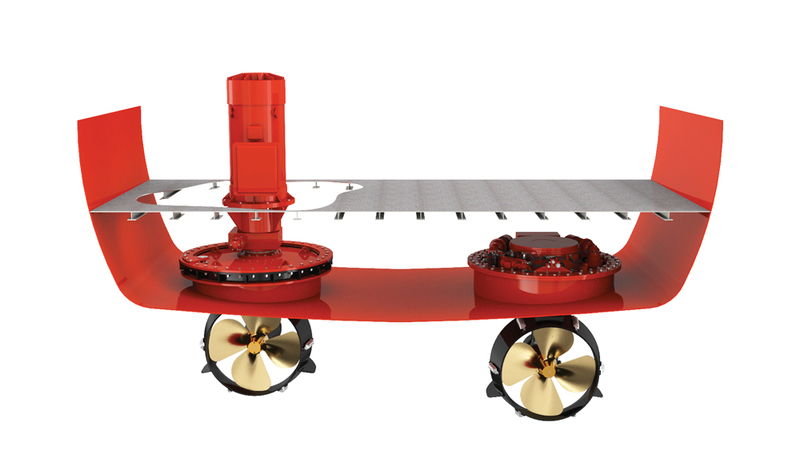 Electric propulsion has been sparking interest in the marine industry for a decade now, but it’s only in the past year or so that it has truly begun to resonate. When Dutch shipyard Heesen Yachts launched Home in 2017, it became the world’s first fast-​displacement-hull-form motor yacht with hybrid propulsion. The term “hybrid” signifies a drivetrain that draws on two or more power sources for propulsion and onboard needs—commonly diesel engines and electric motors—which can be used together or individually. In the context of a hybrid car, the emphasis is usually on energy savings and reducing emissions, but hybrid propulsion at sea has a wider set of aims. Equipped with 626kW main engines that are complemented by two water-cooled DC electric-shaft motors, Home cruises at speeds of up to 2350kW using the electric motors alone. But from an owner’s perspective, fuel efficiency is arguably not the key attraction of the hybrid system. Instead, it’s the enhanced comfort that the option of silent cruising provides. In electric mode, the noise levels in the owner’s stateroom measure an astoundingly low 46 decibels—that equates to the sound of softly falling rain. The sister ship to Home, currently dubbed Project Electra, is scheduled for delivery in April 2020. The benefits of electric don’t stop there, however. The newly launched, fully electric contrarotating propeller by Veth Propulsion—the Veth Integrated L-drive—highlights yet another key attraction: size. Highly compact, it is currently available up to 2350kW, which is suitable for a superyacht of up to 75 metres, and can be used as a slow-speed unit aboard yachts of 100-plus metres. This means the design of a vessel’s engine room has far more flexibility. Electric units are either driven by batteries or generators, and generators can be located anywhere on board a superyacht, so it opens up the potential to put the generator in the fore and maximise the aft for larger accommodation—perhaps a moon pool for the submarine, and so on—without being impeded by a large midship engine room. One yard that has already made the fully electric leap is Slovenian Greenline Yachts. With sustainability at the heart of its brand, Greenline has gradually blossomed into the Tesla of the seas, having launched its first hybrid-propulsion yacht as far back as 2008. The entire Greenline Yachts range is equipped with solar panels as standard, from which to run all home appliances. At the Monaco Yacht Show 2018, it launched the NEO EDrive—a fully electric leisure craft. Equipped with twin 60kW Torqeedo Deep Blue electric outboard engines and two high-performance lithium batteries, the NEO EDrive provides a range of 40 nautical miles at an average speed of six knots. Another example of emissions and expense reduction is the Scandinavian-styled X Shore eElectric 8000 Smögen Edition, an eight-metre day cruiser powered by Torqeedo Deep Blue 80i 1800 engines and reaching a top speed of 25 knots. The BMW batteries feature an advanced water-cooling system that gives longer battery life and maximum performance, giving the boat a range of up to 40 nautical miles. In addition, its electric-eel-inspired hull is designed to take in air from the sides, thus creating a layer of air bubbles between it and the water, further reducing friction and saving energy. 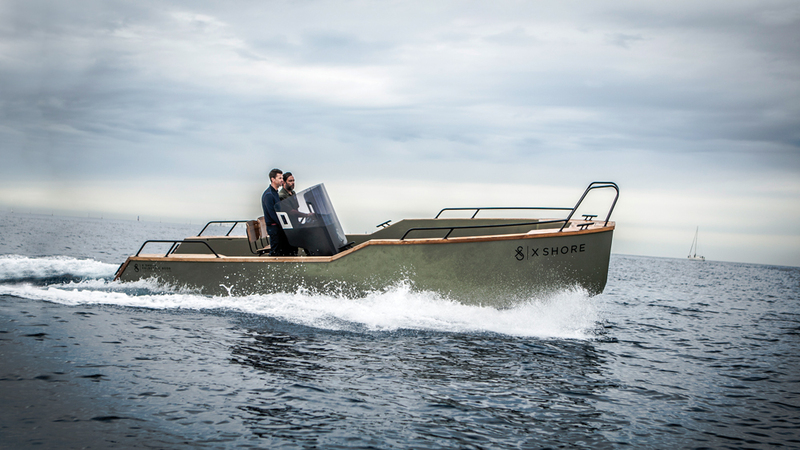 The cost to drive an X Shore craft is almost 10 times less than a boat with a traditional petrol engine.